Pearl and Perlux® cinema screen surfaces offers unparalleled viewing experiences in most theatre applications. The pearlised white surface offers outstanding gain characteristics, as well as the most generous viewing angles, highest contrast and brightest pictures. Perlux screen surfaces also have the advantage of appearing seamless under normal lighting conditions, further enhancing the audience’s viewing pleasure. Regardless of the size or shape of your cinema, or how closely your seating is located to the screen, Specialty Cinema can supply a pearl or Perlux® screen to suit. We offer pearl and Perlux® screens from some of the leading names in the business, with mini perforations to enhance close-up viewing, or screens with a higher perforation density offering unsurpassed acoustic performance. 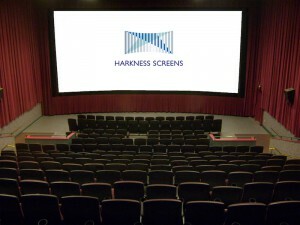 Specialty Cinema carries pearl cinema screens manufactured by Harkness Screens, Strong MDI, and Spectro Screens. Specialty Cinema’s design team will come to your venue, take precise measurements and come up with the screen that meets your viewing requirements, as well as your budget. 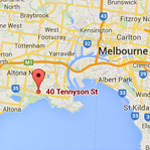 Contact us today for a no-obligation quote.